Runner athlete running at park. woman fitness jogging workout wellness concept. Runner athlete running at tropical park. 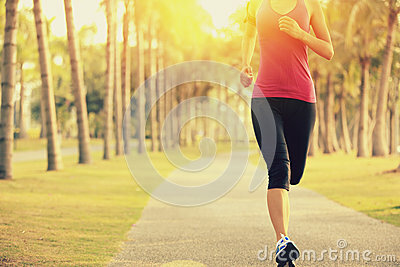 woman fitness jogging workout wellness concept.